Millennials are always considered a different generation; hence, to recruit them effectively, organisations need fresh and new strategies. Is this completely correct? Find out in this Whitepaper useful information about the correlation between Millennials and previous generations at workplace as well as advices on improving effectiveness in hiring this generation. Read Part 1 Is Teamwork Millennials' Nightmare? 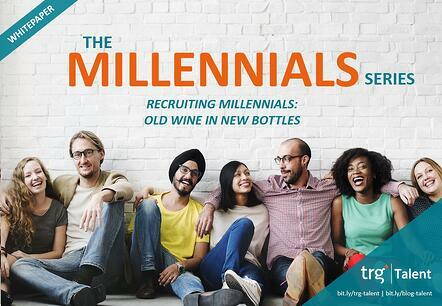 of The Millennials Series by TRG Talent HERE.